Recorded earlier this year, Lisa-Jayne Lewis talked with Creative Producer Nicoline Refsing about how to put ideas and concepts on to a stage and TV screen. Memories of ESC 2014, images of ESC 2015, and trying not to forget about Young Musicians or Junior Eurovision. 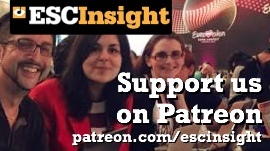 There's still a lot of Contest to go around in first ESC Insight podcast of the off-season. And that's your lot for Eurovision 2014. We have a winner, we have analysis to go through, and we have time for one last podcast from Copenhagen with Ewan Spence and Samantha Ross (ESC Insight), and DJ Ohrmeister (Prinz ESC Blog). 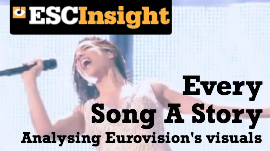 Ewan Spence and Luke Fisher take you though the Grand Final of Eurovision. Press play before the show starts, and don’t forget to pause for the music when you hear the beep! 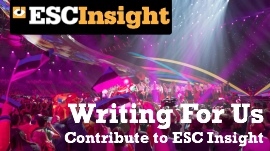 Two hours to go before the Grand Final of the Eurovision Song Contest 2014, and there's just time to bring in some final thoughts from the ESC Insight team on the podcast. Who's looking good, who's going to impress, and who's wondering if it's right or if it's wrong?